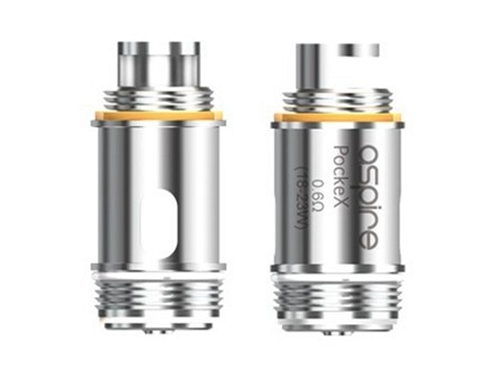 Rated 18-23 watts, the PockeX Atomiser has a 0.6Ω 316L stainless steel coil. The PockeX adopts U-Tech coil technology.Very Important: When using the atomiser for the first time, make sure to let the E-liquid wick until the cotton is fully saturated before firing. This should take around 2-3 minutes according to E-Liquid thickness. This will ensure your atomiser does not burn out.